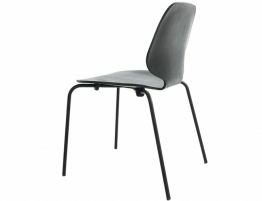 The Black Connick Chair is a multi functional chair with its winning contemporary on trend design. This commanding design will be in vogue forever with its unique seductive curves and poignant lines lending itself to a surreal quality. The Black Connick chair has unlimited potential depending on the task assigned with its well cared for functionality, comfort and aesthetic. 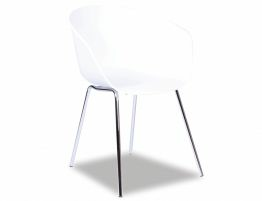 The chair is comfortable for every user, and perfect for any situation, private or commercial, you can count on this one to be a winner.